LOS ANGELES, May 14, 2018 – EY today announced that CEO Steve Yi of MediaAlpha is a finalist for the Entrepreneur Of The Year® 2018 Award in Greater Los Angeles. The awards program recognizes entrepreneurs who are excelling in areas such as innovation, financial performance and personal commitment to their businesses and communities. Yi was selected as a finalist by a panel of independent judges. Award winners will be announced at a special black tie Award gala on Thursday, June 14, 2018, at The Beverly Hilton hotel in Beverly Hills. 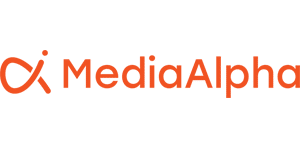 This year, MediaAlpha reported its most substantial year-over-year gains to date, fueled by rapid growth in key verticals including auto insurance, health and life insurance, personal finance and travel. In 2017, the value of the performance marketing media transacted through MediaAlpha’s programmatic platforms, surpassed $250 million, representing a 43 percent increase from the previous year. Learn more about Steve Yi and MediaAlpha by following @MediaAlpha. In Greater Los Angeles, local sponsors include Gold sponsor: Tangram; Silver sponsors: Avison Young, Ballard Spahr LLP, Cresa, HighTower – Acacia Wealth Advisors, and Woodruff-Sawyer & Company; Media sponsor: C‑Suite Media; and PR sponsor: Olmstead Williams Communications. MediaAlpha innovates where programmatic technologies and native and metasearch media intersect, bringing unparalleled transparency and efficiency to performance marketers. Its technology platforms power over 50 million high-value transactions annually, representing more than $400 million in media spend across the insurance, travel, personal finance, education and home service verticals. For more information, visit www.mediaalpha.com.